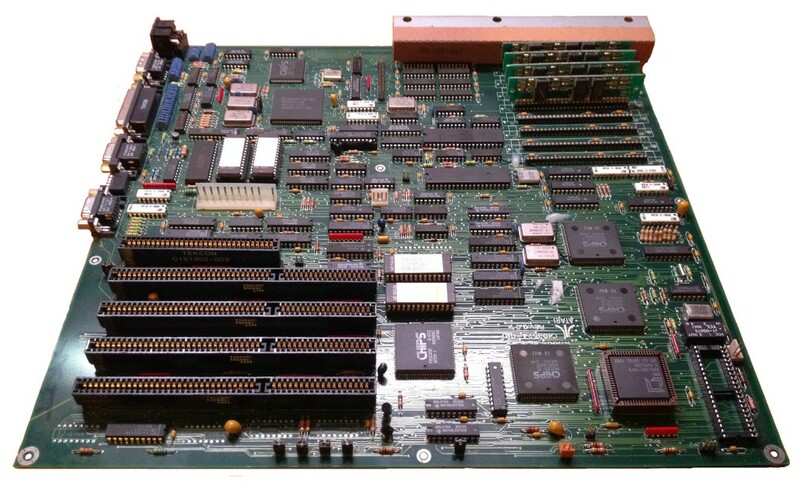 As far as I’m aware there was only the one Atari PC4 motherboard, Atari P/N C103524-001 of which there were 3 revisions. All Revisions featured an AMD processor however I am not aware of any other differences due to a lack of information on these boards. The Atari PC4 was the last of the PCx series to include an Atari proprietary designed motherboard. Special thanks to jaybird3rd @ AtariAge.com for providing the photo.